How to stop car repo by getting advice from a local expert? Get started to secure your car from lender and prevent possible credit downslide! You can possibly stop a car repossession if you get timely advice and that is what we are here for. Lenders repossess cars when borrowers fall behind on their monthly payments although the decision might not be an instant one. Normally, loan dealers contact borrowers to tell them about the effects of payment delinquencies and even specified time period is provided to enable borrowers in getting current with their loan payments. We can help you to avoid car repossession even if your lender has initiated action. In case, your car has been already repossessed, we will let you know the process to get it back. Our experts can also enable you to reduce monthly car payments so that you do not default on car payments in future. Stay in touch with lender and remain current with payments. Once lender initiates court proceedings, things will likely be difficult. Review terms of loan contract agreement and understand every clause. If lender initiates court proceedings then do not withhold partial payments. Contact your lender - You could have much better chances to stop car being repossessed if you talk to representative of your lender’s loan department after you have missed some car payments. Lender may be able to help by working with you for finding a way out or by giving you some extra time. 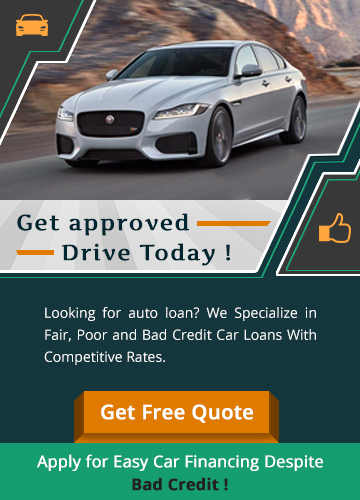 Get the car refinanced - You could even request your lender to be considered for refinancing, as that will enable you to get an extended loan repayment term. Alternatively, for lowering monthly payments and getting rid of the current loan instantly, you can look for other lenders as well. There are chances of getting approved for loan to stop car repossession. Sell car & settle loan dues - The last option you have is to sell your car and pay off the loan dues completely. Such a proposition will not only help you in staying away from the hassles of a vehicle repossession procedure but also give you peace of mind, as you will not have to worry about monthly car instalments henceforth. Bankruptcy court will grant “automatic stay” once you file bankruptcy petition and as a result, lender cannot take any action against you. Nevertheless, if stopping car repossession process has not yet been initiated, the lender will require court’s approval for initiating car repossession proceedings. In addition, if car has been just repossessed then you can show automatic stay granted by the bankruptcy court. There is a chance that you can get your car back by paying a small towing or storage fee. You can get your repossessed car back at auction organized by lender. Ask your lender to modify the terms of loan agreement to make payments affordable. Allow your lender to repossess the vehicle if you are unable to handle its payments every month. Consult one of our qualified and experienced local attorneys by fixing a free appointment. During the course of consultation, you will have the chance to explore options to stop auto repossession including bankruptcy filing. If bankruptcy is the only option that can possibly help you to keep your car then our lawyer will guide you in preparing the necessary paperwork. Bankruptcy filing cannot directly stop car repossession if the process has been initiated. Once lender initiates car repossession process, the only option is to try to delay the procedure. In the meanwhile, you can negotiate with your lender to work out a practically workable payment plan. You can also consult an experienced attorney who can negotiate a loan modification with the lender on your behalf. One of your options is to get back your car is to get your auto loan reinstated by paying all the dues along with different fees. You need a very good lawyer to guide you in following the right course of action for getting back your car whether it is for stopping repossession or for filing bankruptcy. Stop car repossession quotes can be a real possibility today with our hassle free process. You just need to follow some easy steps to apply. Start stopping with our free quotes.